Microsoft on Tuesday posted eight security updates to fix serious security vulnerabilities in computers powered by its Windows operating system. Separately, Adobe pushed out a patch to plug at least nine holes in its Flash Player software. Leading the batch of Microsoft patches for 2015 is a drama-laden update to fix a vulnerability in Windows 8.1 that Google researchers disclosed just two days ago. Google has a relatively new policy of publicly disclosing flaws 90 days after they are reported to the responsible software vendor — whether or not that vendor has fixed the bug yet. 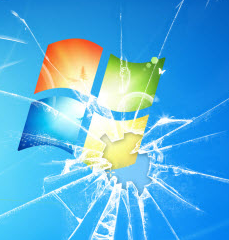 That 90-day period elapsed over the weekend, causing Google to spill the beans and potentially help attackers develop an exploit in advance of Patch Tuesday.